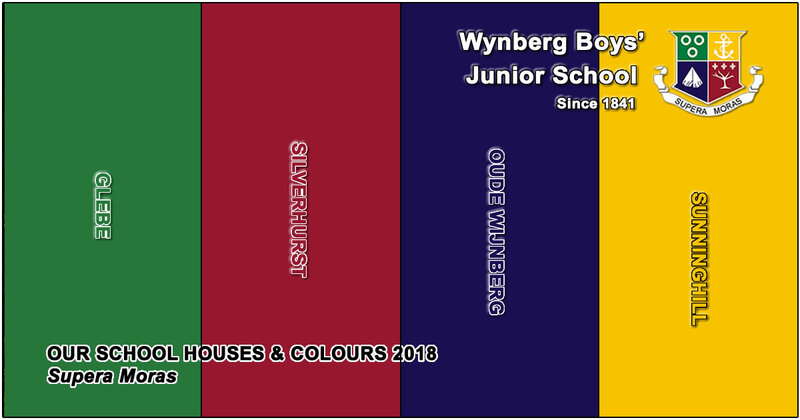 Friday 15 September 2017: the Headmasters of Wynberg Boys’ Junior & High Schools, Messrs Cedric Poleman and Jan de Waal take pleasure in announcing the 2018 House Names and Colours for our Boys’ Schools. 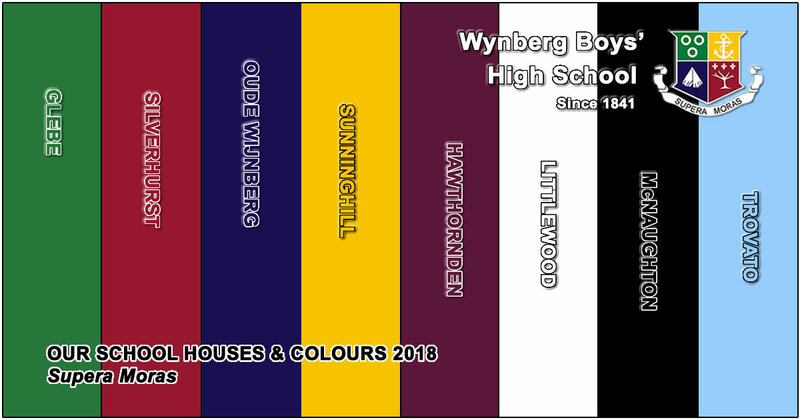 Our School badge, adopted and adapted from the Wynberg Municipality Crest in 1924, is unaffected, remaining central to our School Brand and our historical position in our ever-developing and vibrant community. In ‘building on the good traditions’ of our School, supported by positive feedback from all our role players, students, staff, Wynberg families, and old boys, the new House Names for 2018 were announced at Founders’ Day 2017 by our Headmasters. The ensuing weeks determined the House Colours via input from our staff who will be leading the familiarisation of the historical and geographical names with our students as 2017 draws to its academic close. Literally ‘drawing’ on the comments received over the last year, a full set of new house emblems, unconnected to our school badge, will be unveiled at the start of our 2018 academic year. WBJS & WBHS continue to share 4 houses, while the High School’s additional 4 houses are listed below. Glebe Cottage, on Waterloo Green: the founding place of our Wynberg Boys’ Schools. The “cottage ‘neath the mountain” memorialised in our school song. A portion of Sunninghill Estate became the Wynberg Boys’ Schools’ home after it quickly outgrew Glebe Cottage; the property on the corner of Tennant and Aliwal Roads has long been referred to colloquially as ‘Nixon’s School’ in our recorded history (after the Headmaster of the day). The old manor house and immediate surrounding estate, acquired by the Schools in the 1970s has served many purposes, most recently before its restoration & refurbishment, that of the Junior Hostel. The manor house and surrounding land on which the Jacques Kallis Oval (formerly ‘Wynberg Oval’ was developed in 1991 at the Boys’ School 150th milestone celebrations. The estate above our Schools on Wynberg Hill that gave its name to the suburb in which our High School is located. The historic estate, a portion of which became the land on which the current High School was built in 1981. Our first purpose-built boarding house opened in 1957. Many times refurbished, it continues to be the home-from-home to Wynberg’s boarders. The first Headmaster of what is now our Wynberg Boys’ Schools in 1841 when the school was both co-educational, and multi-racial.